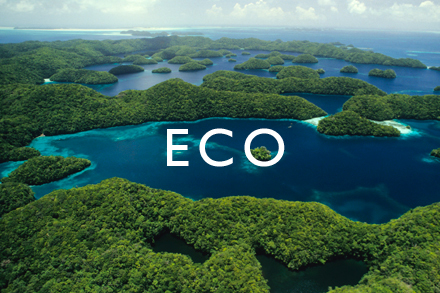 Silica was created to be the most sustainable alternative to vinyl. Silica Prints is an innovative addition to the Silica family of products. 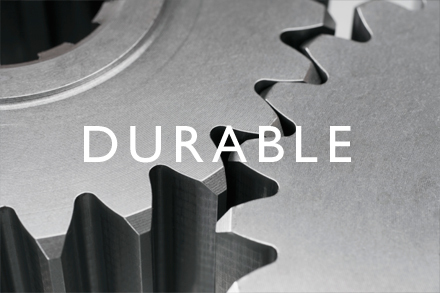 Silica Prints offer all the environmental, cleaning and performance benefits of Silica with endless design possibilities. 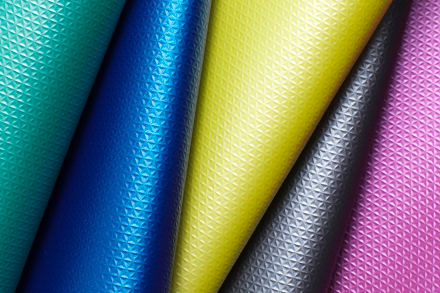 Silica Prints, is a new paradigm for printed coated fabrics. 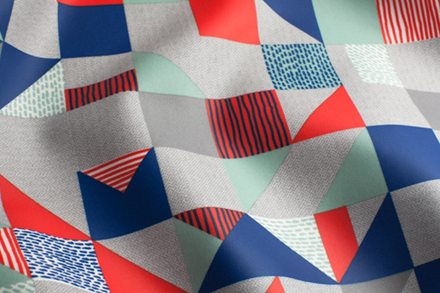 The multi-colored designs are printed on the fabric and then the fabric is coated with silicone. This process preserves the rich colorations and assures the fabric retains the phenomenal cleanability and performance of Silica. 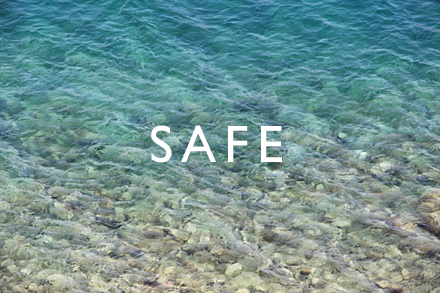 There is no compromise of the sustainable attributes. 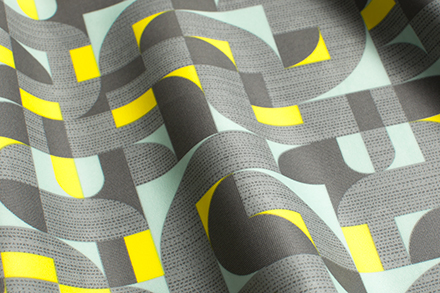 Silica Prints performs just like Silica and has beautiful, interesting color and design. 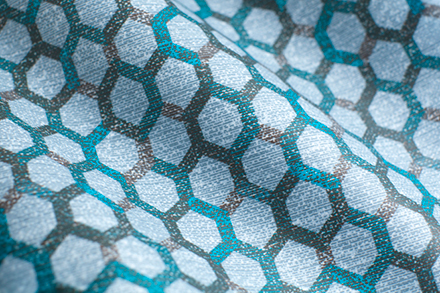 Silica Triad's small scale faceted pattern and soft metallic surface provide a high-tech modern look. 24 colors | 200,000 D.R. Bright and crisp, Silica Andy delivers a large scale geometric option featuring fresh, new accent colors. 6 colors | 500,000 D.R. Inspired by windswept landscapes, the stylized grass-like motifs arc across a background of clean precise lines. Angles and bold clean color converge to create a sense of rhythm and movement. 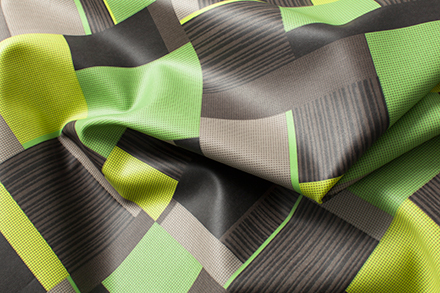 This pattern features bars of color in distinctive and inspiring combinations gliding across the surface. 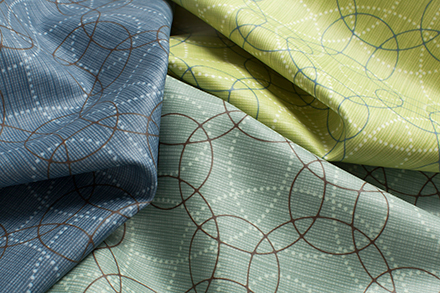 Defined by subtle mid-century modern influences, Silica Compass is a layered pattern of rounded off squares. Intricate layering of pattern and texture results in this rhythmic mix of geometric and organic elements. 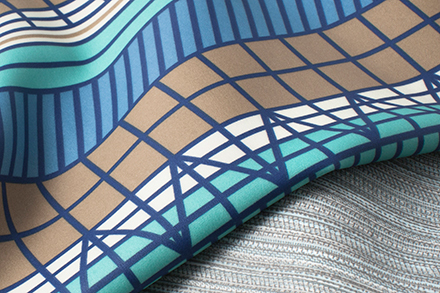 A graphic interpretation of the classic woven structure known as a deflected weave. 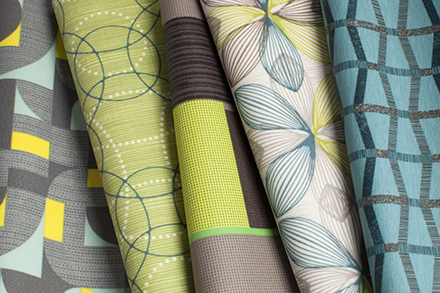 One of Momentum’s most popular patterns, Effloresce has been translated into the Silica Print construction. A graphic interpretation of a slub texture, Silica Etc. is a modern and dimensional pattern. A stylized bloom comes to life through fine, colored lines. 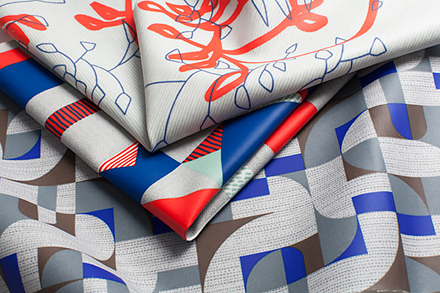 A gentle wash of colors is accented with fragmented linework creating a unique and textural printed textile. A softly textural geometric pattern with organic references, Silica Fresco offers refreshing colors inspired by nature. 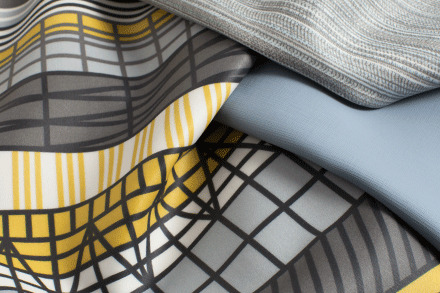 Inspired by mid-century artist Fritz Glarner, Silica Fritz offers a bold and exciting large scale pattern option. This large scale statement pattern features graphic leaf-like elements to create a modern aesthetic. 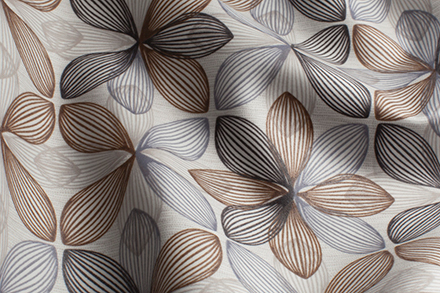 A leaf pattern married with a textural ground creates a design that is rich with surface depth and interest. Inspired by artisanal block printing, Silica Hoop captures the nuances of a design printed by hand-carved stamps. A fresh take on a classic pinstripe. Silica Jig features stripes of varying colors accented by a subtle printed texture. Rich with texture, Silica Kip offers a soft and inviting look, yet retains all the performance attributes of Silica. Light and airy, Silica Likely will make an impact by filling spaces with positive energy. 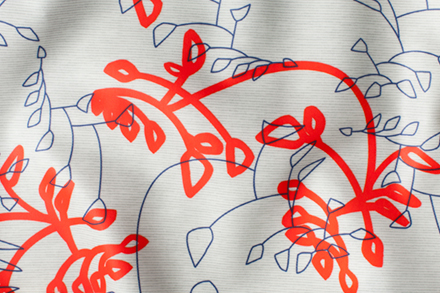 Inspired by Alexander Calder’s mobiles, airy and weighted linework are juxtaposed creating a dynamic pattern. 4 colors | 500,000 D.R. A study of line work, this pattern is defined by bars and lines in a variety of line weights and styles. 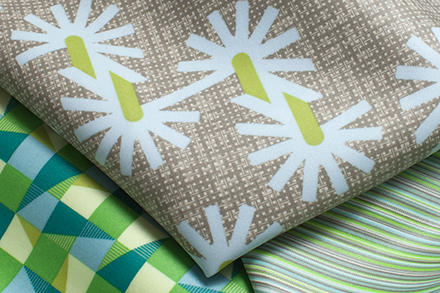 Featuring brightly colored accents, Silica Roam is a modern interpretation of the classic Ogee motif. 8 colors | 500,000 D.R. Textural elements and geometric shapes meander and meet forming a large scale, eye catching design. 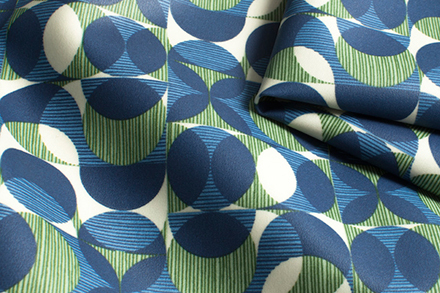 Quirky and modern, Silica Spoke is an imaginative and inspiring pattern designed to make an impact. A complex rhythm of thick and thin bars of color that is broken up by a layer of organic texture. 12 colors | 500,000 D.R. Two accent colors cross over and under, in and out, creating this all-over small scale texture. 13 colors | 500,000 D.R. 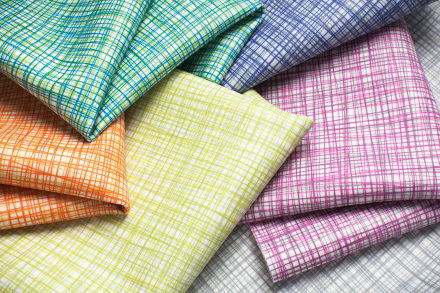 Multicolored lines are arranged to form a modern plaid - a perfect complement to the other Silica print patterns. 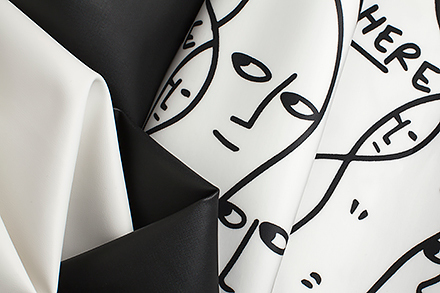 Designed by Shantell Martin, this exciting addition to the Silica family of products features the artist's iconic faces. Stylized linework is choreographed into a dynamic pattern of overlapping circles. 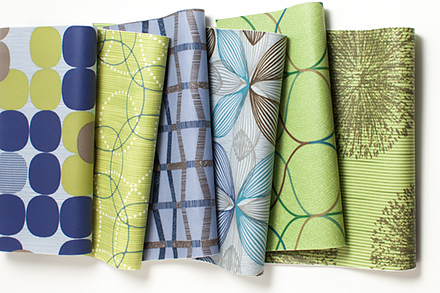 Influenced by avant garde fashion trends, this modern and graphic pattern is multi-colored and versatile. 5 colors | 500,000 D.R. 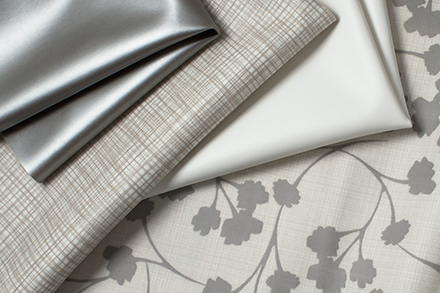 Featuring the look of woven linen, Silica Etch adds 24 distinct hues to the Silica family of products. 24 colors | 270,000 D.R. 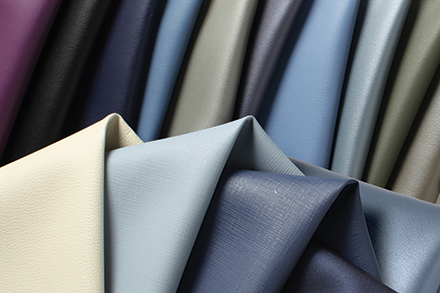 Enhanced with a small, defined leather grain, Silica Leather adds 24 naturally inspired colors to the Silica family. 24 colors | 210,000 D.R. 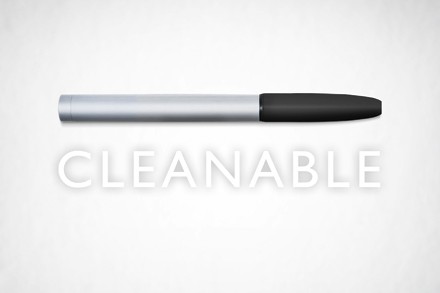 Silica Tech offers a sleek, modern style combined with all the sustainability and performance attributes of Silica. 20 colors | 270,000 D.R. 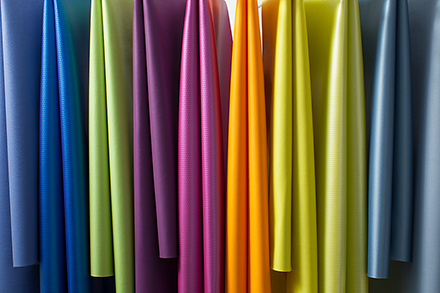 The industry’s most sustainable alternative to vinyl, Silica is a Best of NeoCon Gold award winning coated fabric. 48 colors | 365,000 D.R.